White molded plastic concave bottom with venting for air circulation. 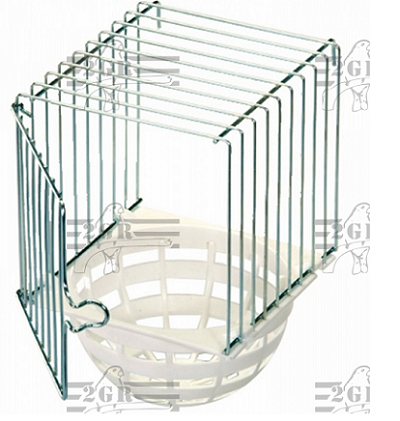 Metal cage surround and entire nest set up is 6.5"h x 4" w x 4" d". Hooks formed on the front for hanging outside of the cage.